Police said one suspect was in custody. 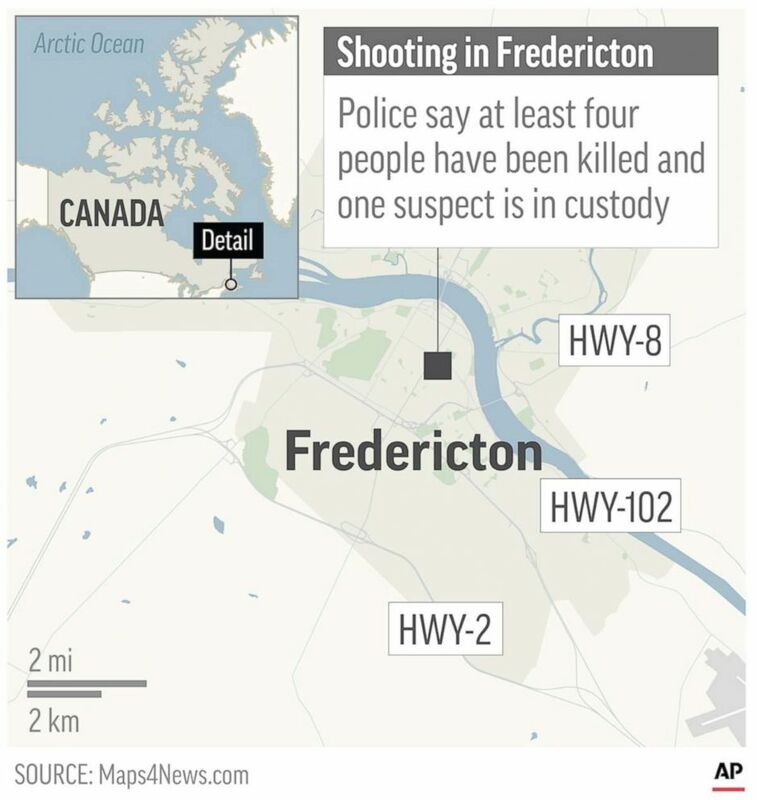 (AP) A map locates Fredericton, Canada, where a shooting has killed at least four people according to police, Aug. 10, 2018. "There is no greater gesture than to put oneself in harm’s way to protect the life of another," Trudeau said. "This morning, first responders rushed to the scene of danger. They did not think twice about what they had to do to keep their fellow Canadians safe. They were unflinching in their duty. We will not forget the two fallen police officers whose sacrifice no doubt saved lives and prevented even greater tragedy."